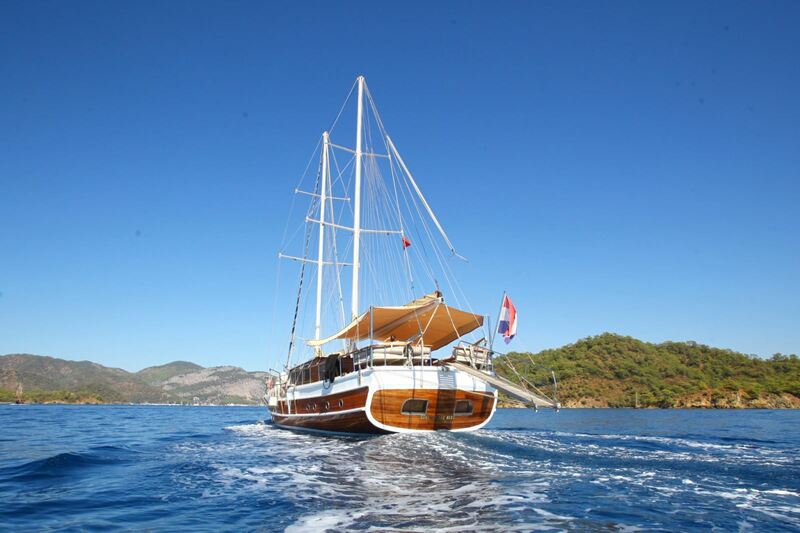 28m/92ft SIRENA is a luxury gulet built in 2007 and last refitted in 2017. 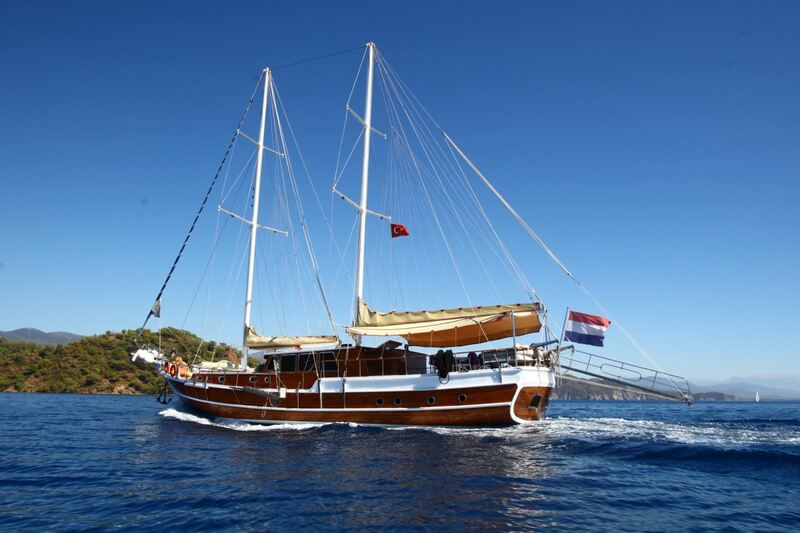 She offers accommodation in 6 double cabins, for up to 12 charter guests. 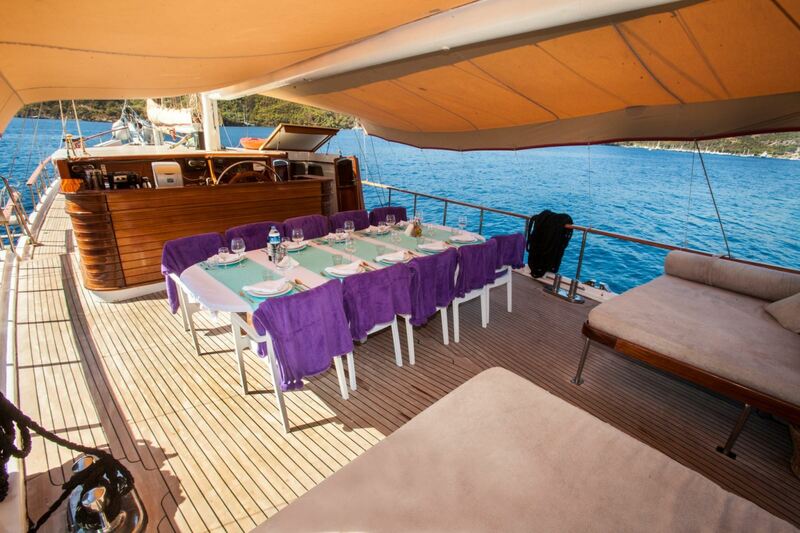 Above deck, the aft section is designated to comfortable alfresco dining and the area is shaded for outdoor use in light to moderate weather conditions. Farther aft, there are two sunpads for sunbathing. 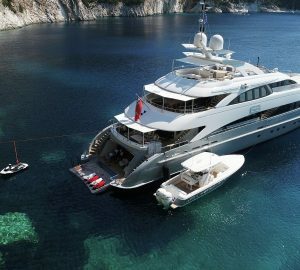 When in port, a fitted Passerelle allows easy access on and off the yacht. 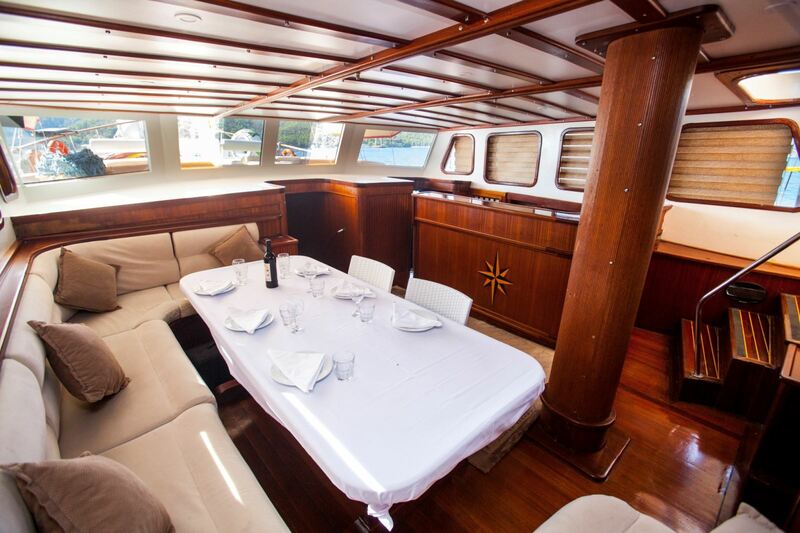 On the foredeck there are more plush sunpads for guests to choose from, as well as a seating area with coffee tables ideal for alfresco breakfasts, evening cocktails or light meals. There is an upper flybridge which was updated during the 2017 refit, to provide an improved alfresco lounge where guests can take in the views at sunset. The air-conditioned salon is a comfortable place to rest and offers a large table surrounded by seating where guests can gather to socialise, work on hobbies or dine. The adjacent bar has a great choice of spirits, while the entertainment systems provide guests with TV, music and Wi-Fi. The accommodation sleeps 12 guests in 6 double cabins, each of which is ensuite. There is also crew accommodation for 4. Tenders and Toys include: Kayak, paddleboard, fishing gear, inflatable and towable toys. For travel to and from the coast, there is a 3.8m/12.5ft tender with a 50 HP outboard.